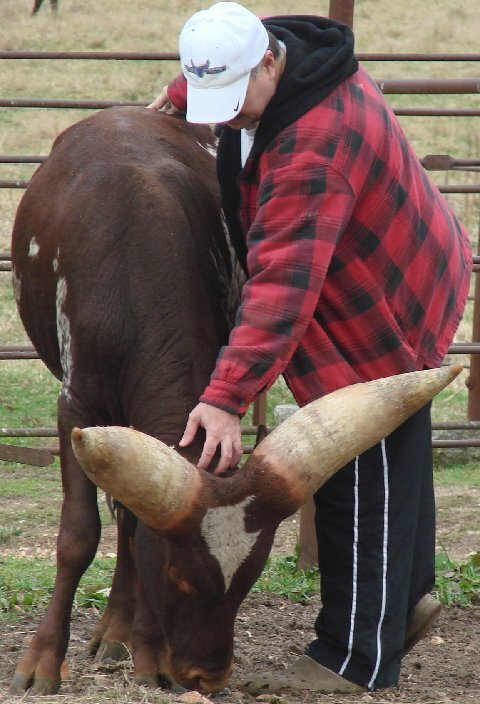 WWA members Don Morgan and Joy Rider petting Don’s herdsire, BWS Popeye. DH Lightening and her 2012 heifer in background. WWA member Joy Rider of Black Walnut Springs farm in Highlandville, Missouri submitted this photo with the following caption: “BWS Holy Cody is a 2011 model (by Sarah Serendipity and TW Booger). This is the little guy I brought to your place at just a few days old that Dianna Rickard used in her petting zoo that season. He’ll be one of my young herd sires for the 2014 breeding season IF we can convince him he’s a watusi.” This great young prospect has already been to five Watusi farms, Black Walnut Springs two times, Fantasy Corral in Woodville, Wisconsin, Matt Moffat of Piedmont, Oklahoma and Liar’s Lake in Sparta, Missouri and now Joy expects him to go to work. 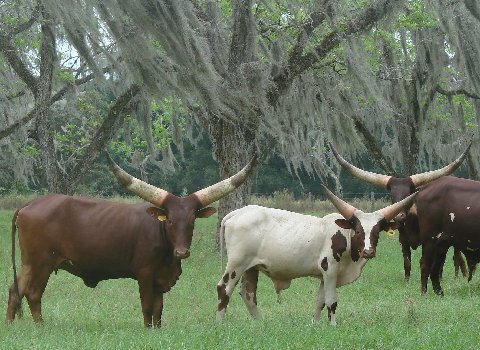 Liar’s Lake Kenya Jim was born to the herd of Texas Safari owned by the late A. C. Parsons, Clifton, Texas. He was purchased as a youngster by Liar’s Lake of Sparta, Missouri and served as their premier herdsire for many years. Kenya Jim’s dam, Kathy (from Catskill Game Farm) was one of the highest selling females in the breed, ultimately selling for $40,000.00. His sire, Heinz, was owned and utilized by the Catskill Game Farm, Catskill, New York one of the premier breeding operations of the breed. Fonz, a Grandson of the famous Man Dingo was a great producer in his own right. 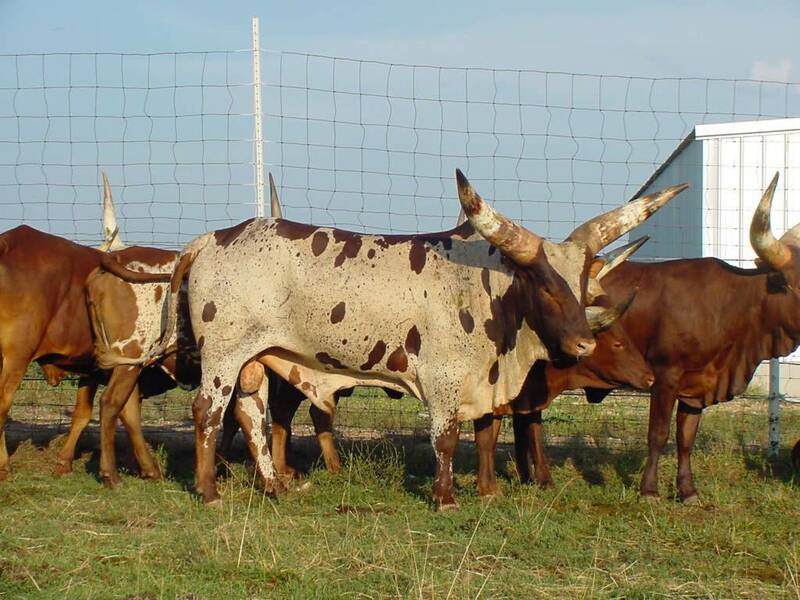 He sired many colorful and correct calves which have been successful in the show ring as well as making their own contributions to the breed. 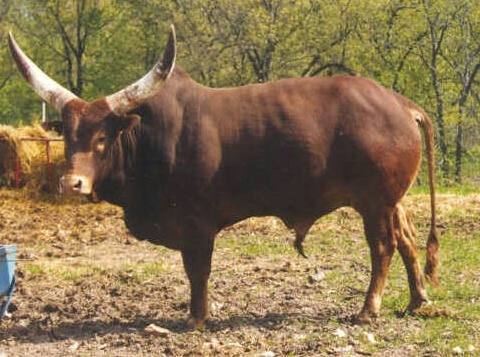 Fonz was bred by Robert Baney of Sterling, Colorado and was purchased and used as a main herdsire by Liar’s Lake of Sparta, Missouri for years. 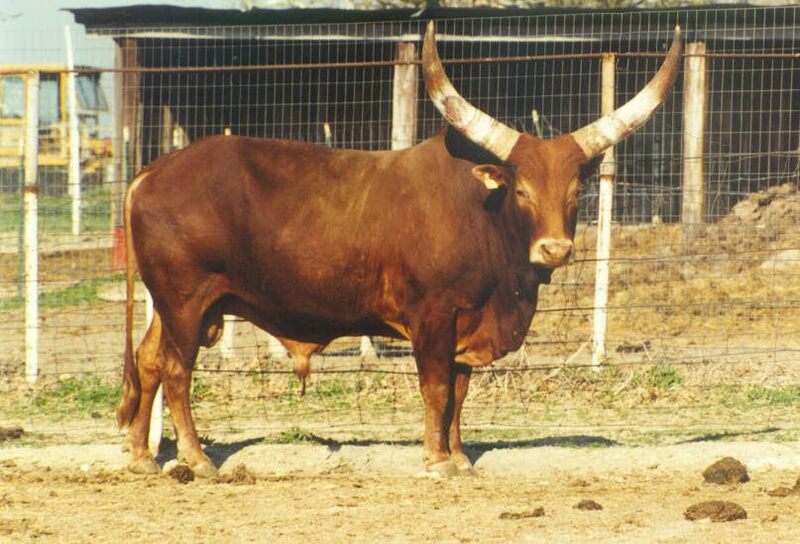 King Louis was a large red bull sired by the famous Valentino of the Busch Gardens, Tampa Florida breeding program and out of the cow Fraulien who was an imported cow from the Frankfurt Zoo in Germany. 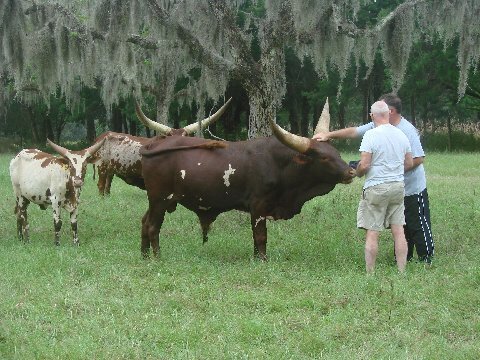 Louis shows up many times in bloodlines of the World Watusi Association records. 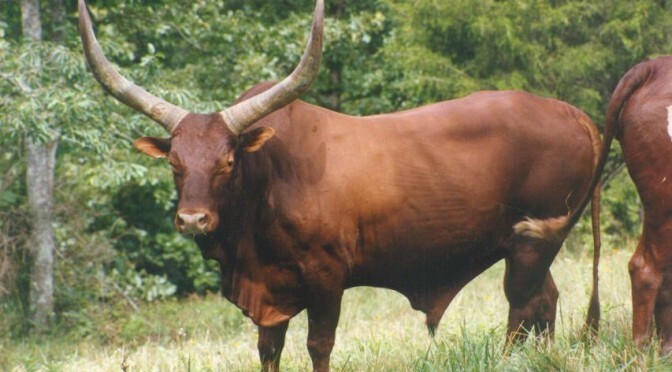 Although he was used on a few foundation pure cows he was ultimately used extensively on percentage animals by Liar’s Lake of Sparta, Missouri producing over 200 offspring. Liar’s Lake Kenya Jim was born at Texas Safari in 1988. He has been used extensively as a sire by Liar’s Lake having produced over one hundred calves. 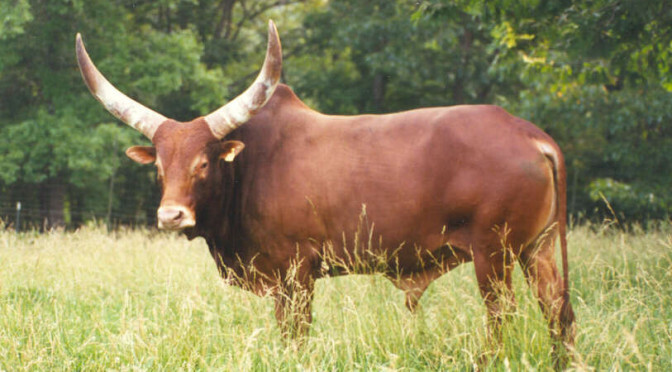 Jimmy was sired by Heinz, of the Catskill Game Farm breeding lines, and out of Kathy, one of the highest selling Watusi cows of the last decade. Kathy was from the Rare Animal Survival Center, Ocala, Florida.